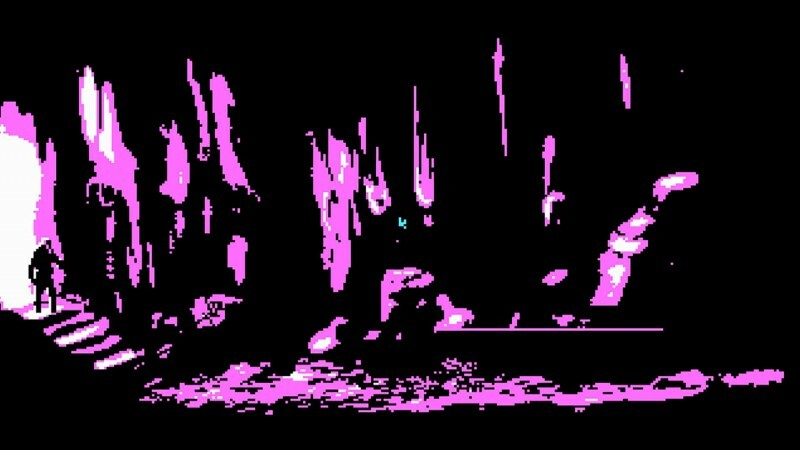 Thanks to classics like The Prince of Persia and Another World, the cinematic platformer was the genre of style in the early ‘90s. The combination of rotoscoped visuals and movement gave characters weight, which made these games fascinating to play – even with their awkward controls and cheap deaths. 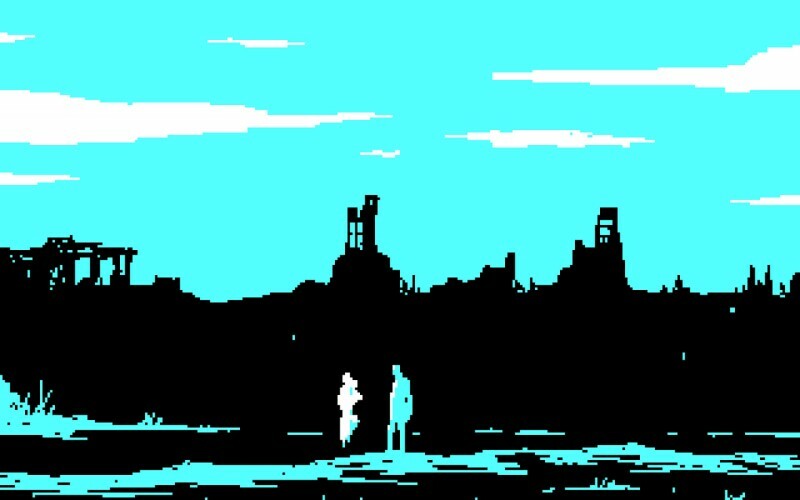 In spite of its name, The Eternal Castle Remastered is not an actual remastered game from 1987; it’s a beautiful homage to the genre that has you playing a wanderer (whose gender you select) in a mysterious land searching to repair their ship and rescue an acquaintance. 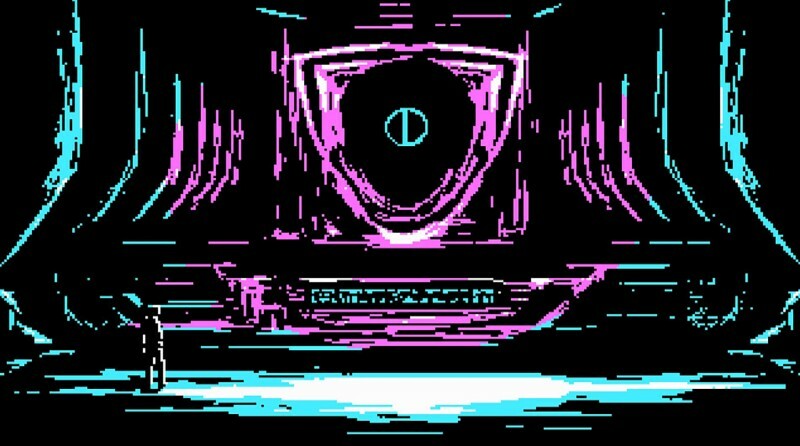 Along the way, you have to fight bosses, solve puzzles, and exercise your shooting finger against an arresting pink-and-blue backdrop of a CGA-inspired alien world. The particulars of the story are nothing special, but the setting and visual vibe are enthralling. 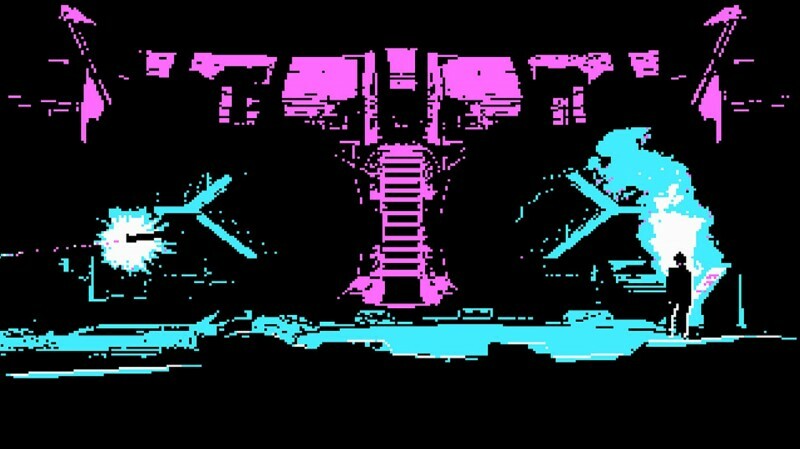 The Eternal Castle Remastered is an unabashed nostalgia trip. At its best, it conjures dazzling vistas and convincingly spooky houses with black shadows. 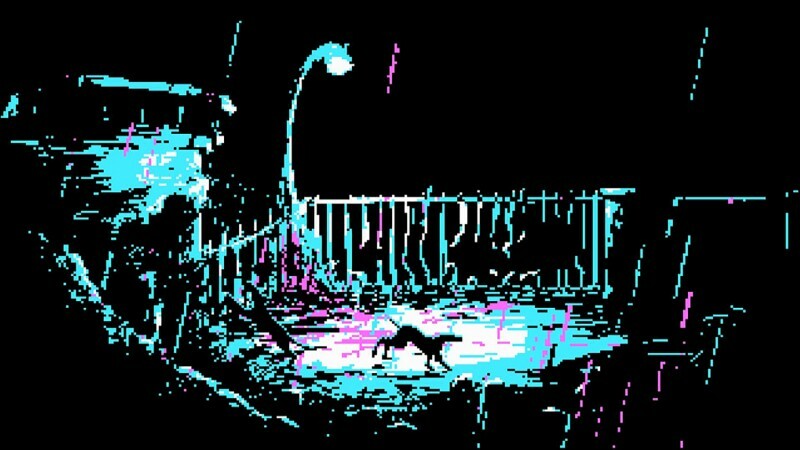 Watching the pixelated figures move across the screen animatedly is also a joy to behold. 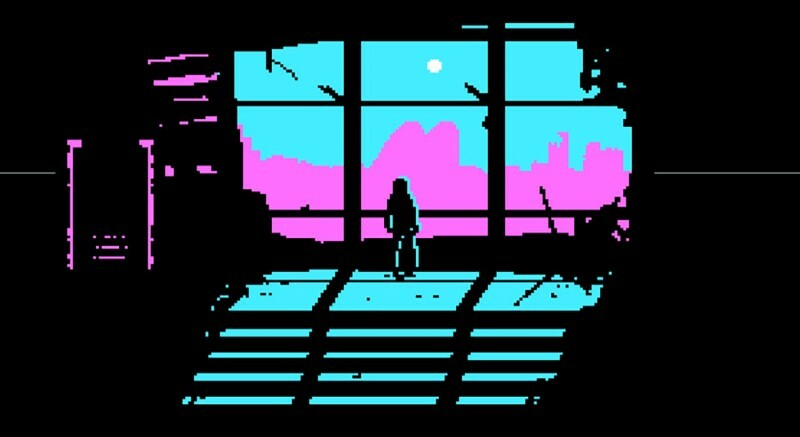 From its menus to its gameplay, The Eternal Castle is as believable as a cinematic adventure game from 1987. Unfortunately, that also means it isn’t always fun. Movement is just as clunky as it was in the platformers of yore and the controls are often frustrating, sometimes bordering on infuriating – especially when you’re required to complete multi-step actions like running and jumping off a ledge to grab onto another ledge. Moving often feels like your character is sliding across ice rather than moving with two feet, making delays in starting and stopping frustrating and often fatal. One segment has you running across rooftops while fighting or avoiding foes – sometimes mutant monsters, sometimes humans – and a miscalculated jump can send you plummeting to your doom (and there are a lot of jumps). 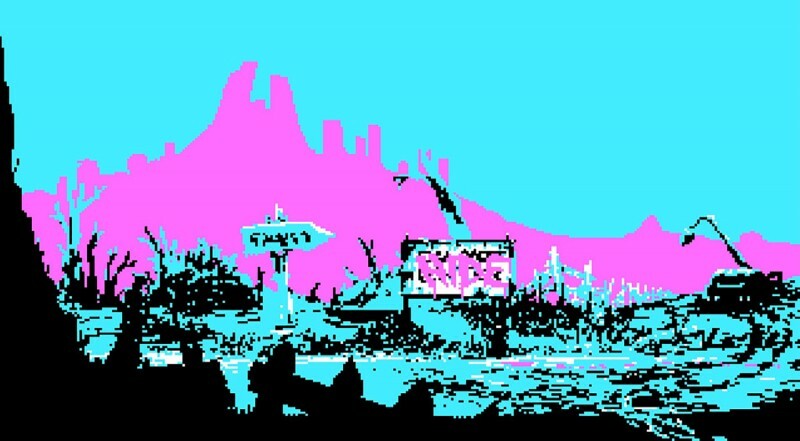 A generous checkpoint system and laborious stamina meter that depletes with every action are the only genre modernizations The Eternal Castle brings to the table, but it’s not quite enough to offset the annoyances of its adherence to archaic design. The stamina-based combat is as frustrating as navigation. The only maneuver you can do to avoid blows is roll across the ground; the rest of the time you’re just spamming the attack button to shoot or strike. Your stamina bar ticks down every time you punch, run, roll, or jump. This isn’t a big deal when you’re fighting off one or two enemies, but the combat isn’t fun to pull off, given that you’re just hitting one button over and over until the foes is dead. It’s fighting that requires no rhythm or strategizing – most of the time success comes down to plain luck more than skill. Things get more disappointing in big battles, though. One section has you fighting against a lot of foes in a narrow hallway with only a hammer. The setup is a cool idea (riffing off the infamous Oldboy scene), but you’re just repeatedly knocking down foes in the hopes that your stamina meter doesn’t deplete before you kill them all. In the end, these encounters feel like a bunch of enemies are lining up for you to punch them more than you actively fighting a group of foes in a frantic battle. Likewise, the few boss fights are great to look at but mostly frustrating to complete. The bosses move quickly and have a fair amount of health, so they just pummel you until you manage to roll around enough to dodge them and trick them into hitting each other. It doesn’t help that every time you lose one of these fights, you have to watch the intro to it all over again. The Eternal Castle has all these grand, fantastic-looking set-pieces but none of them are actually entertaining to play. Instead, The Eternal Castle Remastered is at its best when it turns down the action and plays more like a conventional puzzle-adventure title. One early segment has you facing an armed opponent telling you to vacate his property. You can draw your own gun on him, but you don’t have nearly enough ammo to take him down. Instead, you need to look around for an (immensely enjoyable) solution in the environment. The simplistic stealth sections, which have you crouching in the shadows created by a graveyard’s tombstones or house’s furniture to avoid monsters as you look for solutions to a puzzle, are also satisfying because they instill a sense that you’re overcoming the odds by using your wits rather than your brawn. I left my time with The Eternal Castle Remastered extremely impressed by its aesthetic achievements but more than a little let down by how much the gameplay feels like a chore. The quality of its visuals are undeniable, but sometimes it’s better leaving certain things, like clunky controls, in the past.